In this article I’ll show you a healthy sandwich that will help you in your weight loss goals. Meals like this have helped me lose a dramatic amount of weight. I went from 248 lbs to 167lbs in 5 months and I did that by eating more. If you want to see more about my diet check out this You on a Diet. Now on with the sandwich. 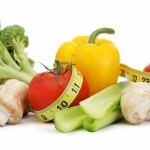 It is full of foods that are both low in calories and foods that make you feel full. Here are the ingredients in my healthy sandwich. Cook veggies on high for 12 min. Cook Baguette in oven at 400 for 10 min. Place back in the oven for 2 min. I get emails all of the time asking for meal plans, so I list here the rest of the things I ate for breakfast and lunch. I hope this helps you meet your dieting goals. You don’t have to starve yourself or even exercise. You just need to find healthy low calorie, low fat alternatives for all the foods you love to eat.